What is Marvin’s Market Adventure? The product is a short story about a little boy (Marvin) and his adventure in preparing a surprise for his Grandmother. 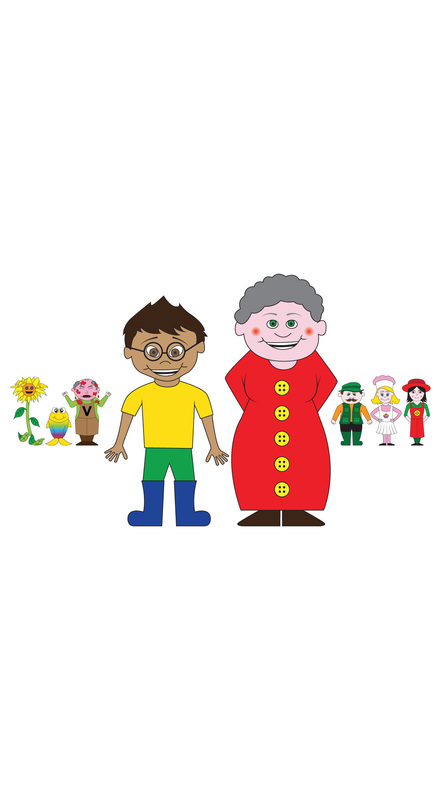 The pack also includes an audio version of the story as well as ideas for learning opportunities and a booklet which introduces the characters. What makes this different to other stories? In my local authority, we use the Sensory Enrichment Experiences (SEE) approach to literacy development. In a nutshell, this is based on a study by two researchers that proposed 22 categories of ‘global experiences’ which are necessary to provide a rich base for literacy. For sighted children, the foundations for literacy can often develop organically through a process of observation and imitation, but we know that children with severe visual impairments are at a significant disadvantage in this respect. In answer to the above question, I do not see this as a story at all, but as a framework for the development of concrete conceptual understanding- weaved together as a story. We have been using Marvin’s Market adventure for about three months at our Braille Club. Braille Club is attended by 5 young children between the ages of 5 and 8 held every month at a local primary school. During the first session, we read a part of the story using tactile objects. We incorporated some braille reading into this session by asking them to read the name badges of the people they had met. I knew they loved the story as they were completely silent throughout! They could also remember the main characters weeks after. On subsequent sessions, we worked on coin recognition, sound recognition and used role-play to become market traders. During one session, we explored the items from the story (bread, cake, cheese, fish, lemonade etc). Would you believe that young children were fascinated and occupied for around 15 minutes with the sound of the fizz from a lemonade bottle? They are around this stuff all the time- but when does anyone have time to stop and explore the details such as the fizz and pop of a lemonade bottle being opened? Being able to focus on a narrow area is really liberating and reflecting on what they understand conceptually is fascinating. For example, how many young people would you expect have ever visited a market? In my group the answer is 0. Would they tell you that they didn’t know what a market is? Doubtful- but we would still expect them to write a piece of descriptive writing about one. The most important factor is that the children are learning real skills which they can apply immediately. At the end of the term, we are going to go to a local market with our lovely braille lists and we will use our coin recognition skills to re create the story in real life. The audio version is really fun and my students have enjoyed listening to this independently during down time. This product is an absolute bargain at £10, used as a teaching framework, it will save teachers lots of time (always welcome!). I would especially recommend this for parents to use as a focus for conceptual development. This is really the most important kind of thing we can do for children with VI. I would love to see more stories in the series and I know my students would love to learn alongside Marvin.